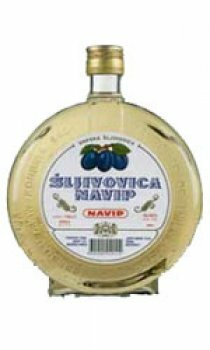 The No 1 brand of Slivovitz Plum Brandy in Serbia (former Yugoslavia). Produced from the famous, Juice-rich Pocegaca Plum, matured for 8 years in Oak Barrels. Recognised for its Yellow-Gold colour & soft rounded taste, sweet, fine & rich in fruit flavours, Navip Slivovitz has excellent fire & depth on the pallate. Packaged in a traditional bottle. Absolutely sensational! Bought this for a friend who thinks himself a bit of an authority on matters of alcohol as it seemed a bit unusual. He hadn't had it before! Gorgeous depth of character and the alcohol burn is minimal. No hangover to speak of either. Better still i ordered with standard delivery and it arrived the next day. All in all a great success. Will be hearing from me soon for more once we finish this bottle I'm sure.